Admit it. If you’re a strawberry fan, you’re buying them by the bushel right now. 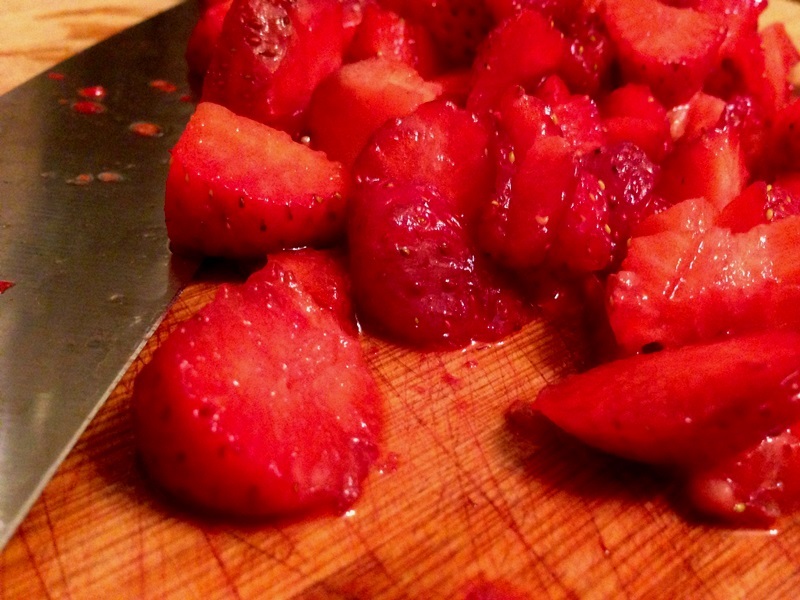 Savoring sweet local strawberries in any form you can conceive of–muffins, pies, salads, soups, shortcake, crumbles. But what happens after strawberry season? Sure, you can turn them into jam. But what if you’re not looking for a huge drawn out process. What if you have a fear of boiling water baths? You could freeze them. That’s easy enough. Though a bit boring. The only logical option is to move to condiments. I went a bit crazy the other week and bought four quarts of strawberries. Half of them were for jam. The rest? I really wasn’t sure but they looked so tempting I just couldn’t refuse. We ate strawberries for two days by the handful until our fingers literally started turning red. If you’re into fresh strawberries, you know those picks from the farmer’s markets are super ripe. If they last for three days on your counter you’re pretty lucky. At that point they start getting squishy and dingy looking. Or worse–fuzzy. After two days the remaining strawberries were still okay to eat, though not as inviting. Rather than take the time to turn them into something baked (and heat up my already sweltering kitchen) I wanted something quick and easy. Put berries and vinegar in a mason jar, seal and shake. 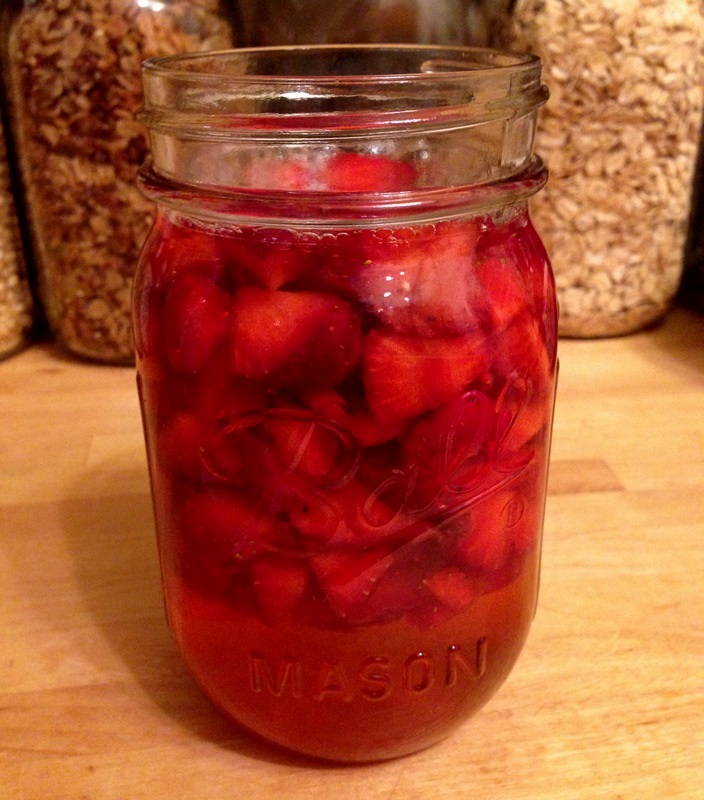 Let the strawberries soak for about 10 days, making sure you give them a good shake to mix each day. The vinegar is “ready” when the most of the color has drained from the berries and they seem almost whitish. 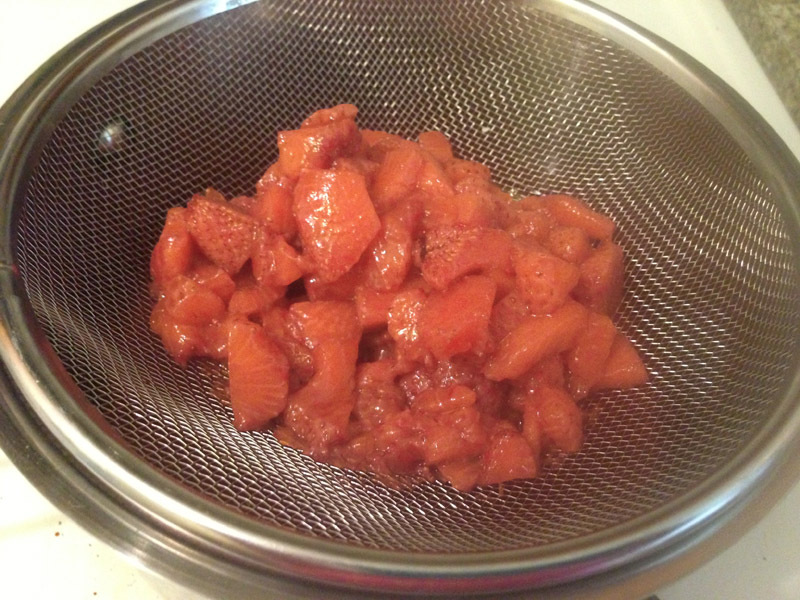 Strain liquid into a small saucepan, pressing the strawberries with the back of a wooden spoon to extract all juices. Taste the vinegar and add a bit of sugar if necessary. My berries were super ripe so I added about 1/4 a teaspoon. Over medium heat bring the vinegar to a slow boil. (This helps kill off any potential bacteria, otherwise it would need to be kept in the fridge and only keep a few weeks). Let the vinegar boil rapidly for 2-3 minutes then remove from heat and allow to cool slightly. Strain the mixture once more through several layers of cheesecloth or a coffee filter to remove any remaining pulp. Store in an airtight container for up to 1 year. Oh my gosh, what an amazing idea! 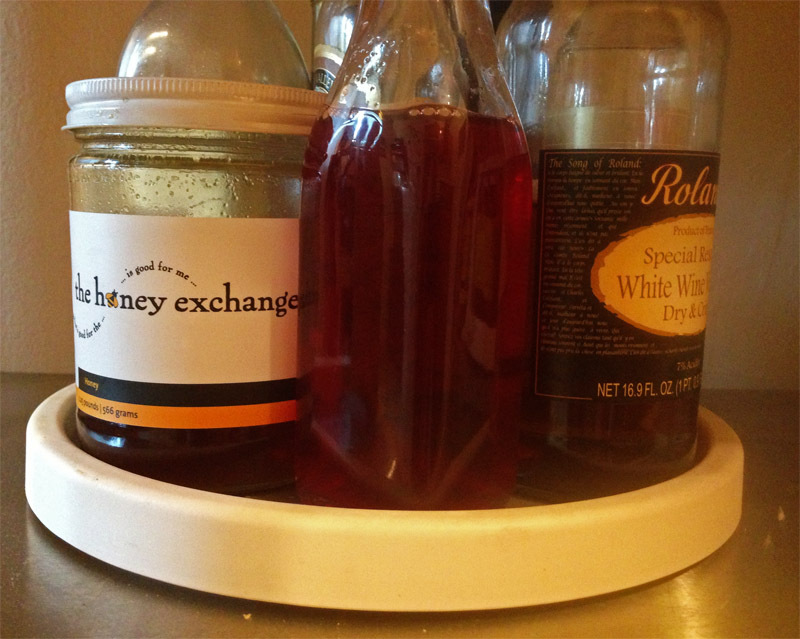 I adore flavored vinegar – I’ll definitely be making this soon! Thanks. Buying too much produce is never a bad thing, it forces you to get creative! Oh my, love this. I too love flavored vinegars never thought of strawberry. Brilliant! Thanks–I forgot to mention in the post how delicious it is! I find with most flavored vinegars you get a hint, but this is full on strawberry. Delicious with tossed greens and a drizzle of olive oil. Oh, wow… what awesome ideas! I love the idea of using it in a pickle… maybe an onion and apple pickle? I think it’d be beautifully fruity. I also like the idea of the meat… maybe grilled chicken, with a quinoa salad (pea shoots, mint, maybe some fresh lemon zest and goats cheese) with the strawberry vinegar and and extra virgin olive oil? I have no idea as I haven’t tasted it yet, but my brain is humming! Hm, I think I need to experiment too!